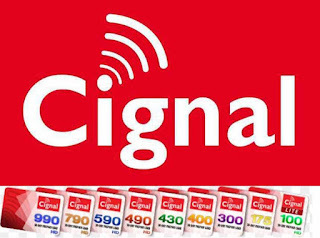 If you’re a Smart load retailer and you have a new or existing customer who wants to reload the Cignal prepaid cable TV, you need to take note of the steps on how to load it using your retailer SIM. This tutorial applies to both kinds of Cignal box, the standard definition (SD) and high definition (HD). Before loading your customer, you must ask them what type of box they are using to avoid problems in the loading process. SD and HD have different keyword when you load your customer via retailer keyword method. You have 2 options to load Cignal using Smart Retailer SIM, first it via sub menu and the second is via keyword. For current Smart retailers selling Smart prepaid loads, just text Cignal to 3443 to receive updated menu. If menu is not working for you, you can use the second method which via keyword. Follow the mechanics below on how to load. Reload your customer’s account with any of the packages below using the appropriate keyword. You can also load your Cignal box using Smart Pasaload method. If the subscriber forgets his account number, kindly advise him/her to gently pull out the Smart Card from his/her set-up box and check the backside of the card. For SMART/SUN subscribers, text CIGNAL SC (12-digit smart card number) to 5353. Standard SMS rate apply. If the subscriber forgets his Smart Card serial number, kindly advise him/her to gently pull out the Smart Card from his/her set-up box and check the backside of the card. The 12-digit smart card number appears in this format: 0000 00XX XXXX. For special packs like Pay-Per-View, the keywords to be used will be broadcasted per event. Cignal and Smart load retailer should send the following syntax. Prepaid account must be active during the event screening.